As travelers increasingly look to Europe's small towns and off-the-beaten-path attractions for immersion travel opportunities, they also become more interested in renting cars to get to these places, especially if they are traveling with family or friends. If you are planning a trip that begins and ends in the same city, renting a car is a fairly straightforward proposition. All you need to do is research the best rate, book your car and pick it up when you arrive. But what happens if you are flying into one European city and heading home from another? Once upon a time, some European rental car companies were happy to let customers book one way car rentals without added drop off fees. Except in very specific, one-country rentals, those days are gone. European car rental companies have adopted the dropoff fee, making one way car rentals quite expensive. I chose a midsize car that many European car rental companies offer, the Ford Mondeo. It seats five people and has a manual transmission (very common in Europe because it boosts gas mileage) and air conditioning. I picked the dates August 25, 2012 to September 9, 2012 – two weeks and one day. I chose Frankfurt Airport, Germany, for the pickup location, and Rome's Fiumicino Airport (known in the US as Leonardo da Vinci Airport) for the dropoff location. Except as noted, all quotes were for unlimited mileage and payment at dropoff. Collision Damage Waiver insurance and other damage waiver options were not included. The results were interesting. Auto Europe quoted a rate of $1,133.28, including a dropoff fee of $409.71. Auto Europe charges a daily fee for each additional driver. Europcar quoted a rate of $1,353.20 for a VW Passat Variant, the closest I could get to the Mondeo. I could not determine how much of that amount was the dropoff fee, as Europcar did not itemize their charges. This rental quote included 4,500 kilometers (2,796 miles). 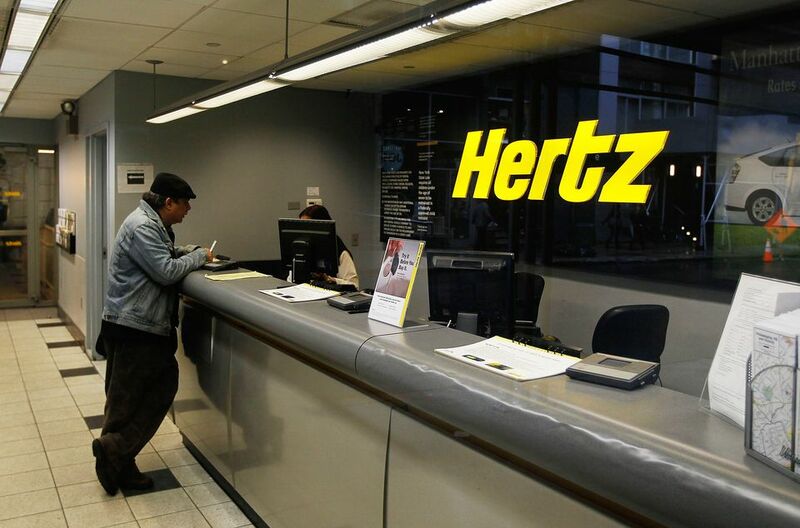 Hertz quoted a rate of $1,174.46. Of this, $491.65 (475 Euros) was the dropoff fee. Hertz also apparently has a mileage limit of some kind, because the quote included "estimated mileage" rather than unlimited mileage. Expedia offered a quote of $1,022.65 for a Hertz rental. A dropoff charge of $491.64 and a registration fee of $163.28 were included in this total. Sixt quoted a rate of $1,257.96 for a VW Passat Variant. Of this total, $59 is the "one way fee." Orbitz would not quote a rate for a car rental longer than two weeks. The price difference between Europcar, which quoted the highest rate, and Expedia, which quoted the lowest rate, was $330.55. That's about three tanks of gas at current European prices. Clearly, it pays to do some research. Diesel fuel tends to cost less per liter in Europe than gasoline, and diesel-powered cars get good mileage, so it's worth your time to research diesel-powered rental car options. Car rental websites tend to quote and default to prepaid rental prices. You will need to check a box that says something like, "I want to pay at the counter" to get counter payment rates. Paying at the counter costs more, but you aren't locked into that rental until you actually pick up your car, and your credit card won't be charged until you have the car keys in your hand. If possible, rent a manual transmission car. They are less expensive to rent. In addition, some rental car offices claim to have automatic transmission cars, but the reality might turn out to be quite different. Find a friend with a manual transmission car and practice shifting gears before your trip begins. The money you save will be worth the practice time. Airport pickups and dropoffs cost more, but offer the convenience of extended rental car office hours. If you are renting your car and dropping it off on a weekday, check the prices at downtown offices (usually near a train station). You may save as much as 10 to 15 percent on your rental if you can pick your car up away from the airport. If you are renting a car for 21 days or longer, consider leasing a vehicle from one of Europe's buy back car lease companies. Depending on where you want to pick up and drop off your car, you could save quite a bit of money.